Set the mood at your table by using these modern, unique candlestick holders that adapt your empty wine bottle to an elegant source of light. How clever! 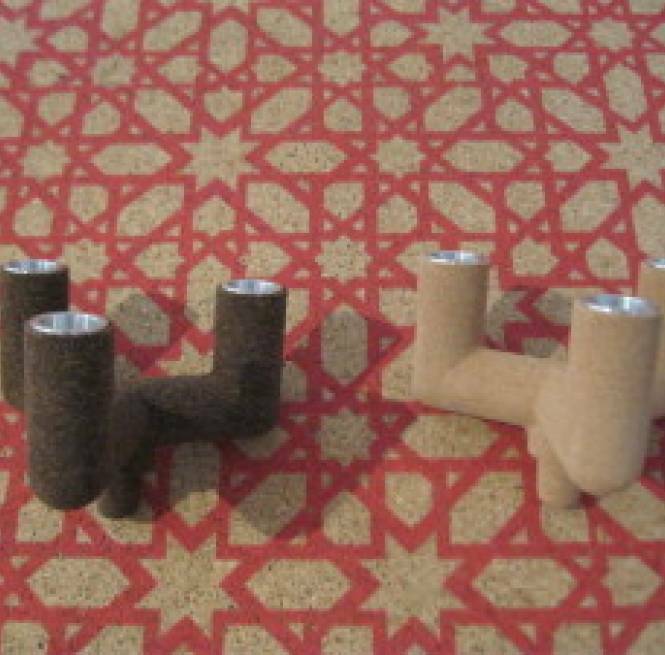 Looking for an appealing, inexpensive EcoCork gift for your favorite environmentalist? The Pocket Sling is the ideal solution! Super comfortable, lightweight and practical, our all cork flip-flops are waterproof, so they are the perfect footwear for beach or poolside. A super stylish accent for your contemporary sofa or chair.